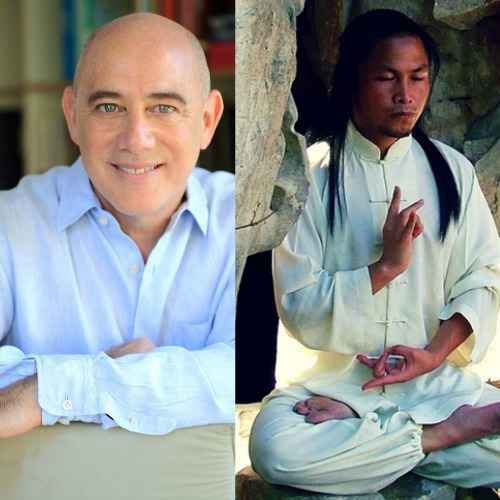 We invite you to receive FREE access to TWO Special Gifted Summit Interviews one with Yair Maimon and one with Master Zhongxian Wu in our Summit learning Spaces. Yair Maimon shared with us his inspiration to his calling to Chinese Medicine and shares with us his path to a deeper, authentic connection to the self and where healing originates from. Master Zhongxian Wu shared with us his own journey into the Chinese Shamanic healing art which will immediately help you on your personal journey of healing.
" I really see this as a community that we are building up for practitioners and lovers of Chinese medicine, this ancient healing art - all the way back to the shamanic roots. Connect with fellow Chinese Medicine practitioners from around the world." Heart to Heart Conversations in our Heart Healing Community! We will together focus on Self Cultivation and grow both professionally and personally on this healing life journey. All the interviews for the Summits and Webinars are led personally by Marian Nielsen Joos, Shamanic Healer, Master Face Reader, Spirit Guide and Chinese Medicine Practitioner. Additionally, she is the organizer of the Theme Day Self-Cultivation and Women's Lunch Lectures at the big TCM Congress Rothenburg, Germany plus she was the founder and organizer of the Scandinavian TCM Congress Denmark. Follow the path of Self-Cultivation. This is the right place for you, our Heart Healing Community. As a practitioner, healer, light-worker or just interested in the Spiritual and Traditional Healing Arts - This is the right place for you. Join our Heart Healing Community for free and connect with some fellow Chinese Medicine practitioners and Chiense Medicine Lovers from around the world.